Home » Shemesh News » Come meet us in Miami! We are live at IDEA 2019! We are delighted to share that Shemesh Automation will be exhibiting at IDEA19 in Miami Beach from the 25th – 28th March 2019. As the world’s preeminent for nonwovens and engineered fabric, IDEA is an event not to be missed! Over 7,000 business visitors expected. 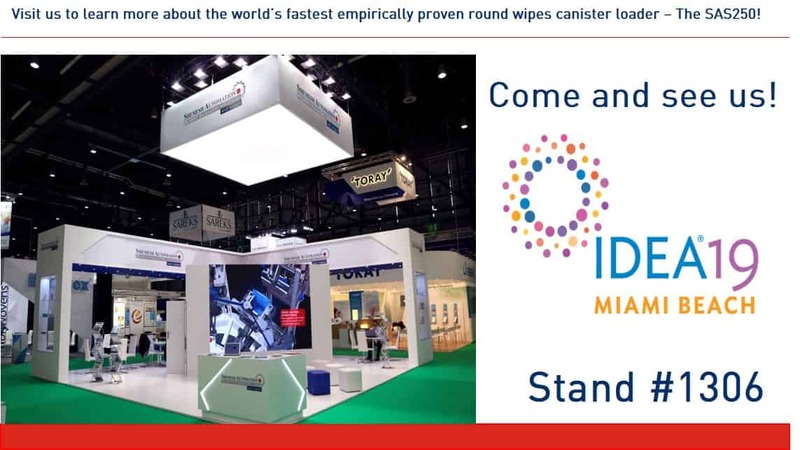 Come and visit us from 25th – 28th March at Stand 1306 to discuss the latest advancements in our range of packaging machinery, including the world’s fastest empirically proven round wipes canister loader – The SAS250! To register for the event, please click here for tickets. Alternatively, please contact us to arrange to meet one of our team.